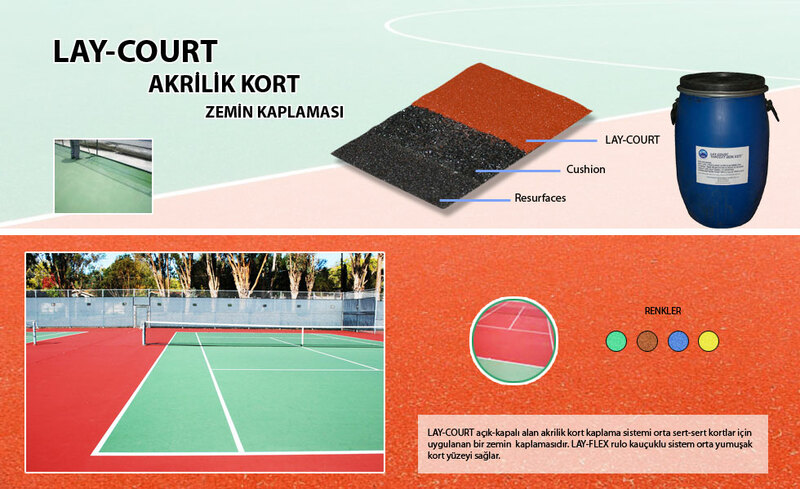 It is a floor covering system which provides developed flexibility in order that you will be able to take secure steps in outdoor sports arena. It is applied by providing various color options on SBR roller which has intended thickness. These are the coverings which are modified with water-based acrylic resins, which are specially designed for sports arena and which are esthetical and economical. They are applied on the concrete in thickness of 2-3 mm with suitable color option and with preferably asphalt or their special undercoating. They have been developed with multi-purpose concept for outdoor sports arenas.